This article is about biomass as a renewable energy source. For the use of the term in ecology, see Biomass (ecology). Biomass is plant or animal material used for energy production, heat production, or in various industrial processes as raw material for a range of products. It can be purposely grown energy crops (e.g. miscanthus, switchgrass), wood or forest residues, waste from food crops (wheat straw, bagasse), horticulture (yard waste), food processing (corn cobs), animal farming (manure, rich in nitrogen and phosphorus), or human waste from sewage plants. Burning plant-derived biomass releases CO2, but it has still been classified as a renewable energy source in the EU and UN legal frameworks because photosynthesis cycles the CO2 back into new crops. In some cases, this recycling of CO2 from plants to atmosphere and back into plants can even be CO2 negative, as a relatively large portion of the CO2 is moved to the soil during each cycle. Cofiring with biomass has increased in coal power plants, because it makes it possible to release less CO2 without the cost assosicated with building new infrastructure. Co-firing is not without issues however, often an upgrade of the biomass is beneficiary. Upgrading to higher grade fuels can be achieved by different methods, broadly classified as thermal, chemical, or biochemical (see below). Wood waste outside biomass power plant. Bagasse is the remaining waste after sugar canes have been crushed to extract their juice. Miscanthus x giganteus energy crop, Germany. Historically, humans have harnessed biomass-derived energy since the time when people began burning wood fuel. Even in 2019, biomass is the only source of fuel for domestic use in many developing countries. All biomass is biologically-produced matter based in carbon, hydrogen and oxygen. The estimated biomass production in the world is approximately 100 billion metric tons of carbon per year, about half in the ocean and half on land. Wood and residues from wood, for instance spruce, birch, eucalyptus, willow, oil palm, remains the largest biomass energy source today. It is used directly as a fuel or processed into pellet fuel or other forms of fuels. Biomass also includes plant or animal matter that can be converted into fuel, fibers or industrial chemicals. There are numerous types of plants, including corn, switchgrass, miscanthus, hemp, sorghum, sugarcane, and bamboo. The main waste energy feedstocks are wood waste, agricultural waste, municipal solid waste, manufacturing waste, and landfill gas. Sewage sludge is another source of biomass. There is ongoing research involving algae or algae-derived biomass. Other biomass feedstocks are enzymes or bacteria from various sources, grown in cell cultures or hydroponics. First-generation biofuels are derived from food sources, such as sugarcane and corn starch. Sugars present in this biomass are fermented to produce bioethanol, an alcohol fuel which serve as an additive to gasoline, or in a fuel cell to produce electricity. Second-generation biofuels utilize non-food-based biomass sources such as perennial energy crops (low input crops), and agricultural/municipal waste. There is huge potential for second generation biofuels but the resources are currently under-utilized. Thermal conversion processes use heat as the dominant mechanism to upgrade biomass into a better and more practical fuel. The basic alternatives are torrefaction, pyrolysis, and gasification, these are separated principally by the extent to which the chemical reactions involved are allowed to proceed (mainly controlled by the availability of oxygen and conversion temperature). There are other less common, more experimental or proprietary thermal processes that may offer benefits, such as hydrothermal upgrading. Some have been developed for use on high moisture content biomass, including aqueous slurries, and allow them to be converted into more convenient forms. A range of chemical processes may be used to convert biomass into other forms, such as to produce a fuel that is more practical to store, transport and use, or to exploit some property of the process itself. Many of these processes are based in large part on similar coal-based processes, such as the Fischer-Tropsch synthesis. Biomass can be converted into multiple commodity chemicals. As biomass is a natural material, many highly efficient biochemical processes have developed in nature to break down the molecules of which biomass is composed, and many of these biochemical conversion processes can be harnessed. In most cases, microorganisms are used to perform the conversion process: anaerobic digestion, fermentation, and composting. Glycoside hydrolases are the enzymes involved in the degradation of the major fraction of biomass, such as polysaccharides present in starch and lignocellulose. Thermostable variants are gaining increasing roles as catalysts in biorefining applications, since recalcitrant biomass often needs thermal treatment for more efficient degradation. Biomass can be directly converted to electrical energy via electrochemical (electrocatalytic) oxidation of the material. This can be performed directly in a direct carbon fuel cell, direct liquid fuel cells such as direct ethanol fuel cell, a direct methanol fuel cell, a direct formic acid fuel cell, a L-ascorbic Acid Fuel Cell (vitamin C fuel cell), and a microbial fuel cell. The fuel can also be consumed indirectly via a fuel cell system containing a reformer which converts the biomass into a mixture of CO and H2 before it is consumed in the fuel cell. On combustion, the carbon from biomass is released into the atmosphere as carbon dioxide (CO2). After a few months, or years, or decades, the CO2 has been absorbed back by growing plants or trees. However, the carbon storage capacity of forests may be reduced overall if destructive forestry techniques are employed. All biomass crops sequester carbon. For example, soil organic carbon has been observed to be greater below switchgrass crops than under cultivated cropland, especially at depths below 30 cm (12 in). For Miscanthus x giganteus, McCalmont et al. found accumulation rates ranging from 0.42 to 3.8 tonnes per hectare per year,  with a mean accumulation rate of 1.84 tonne (0.74 tonnes per acre per year),  or 20% of total harvested carbon per year. The grass sequesters carbon in its continually increasing root biomass, toghether with carbon input from fallen leaves. Typically, perennial crops sequester significantly more carbon than annual crops due to greater non-harvested living biomass (roots and residues), both living and dead, built up over years, and less soil disruption in cultivation. GHG / CO2 / carbon negativity for Miscanthus x giganteus production pathways. Some are carbon neutral or even negative, though, especially perennial crops. The amount of carbon sequestrated and the amount of GHG (greenhouse gases) emitted will determine if the total GHG life cycle cost of a bio-energy project is positive, neutral or negative. Whitaker et al. estimates that for Miscanthus x giganteus, GHG neutrality and even negativity is within reach. A carbon negative life cycle is possible if the total below-ground carbon accumulation more than compensates for the above-ground total life-cycle GHG emissions. The graphic on the right displays two CO2 negative Miscanthus x giganteus production pathways, represented in gram CO2-equivalents per megajoule. The yellow diamonds represent mean values. Successful sequestration is dependent on planting sites, as the best soils for sequestration are those that are currently low in carbon. The varied results displayed in the graph highlights this fact. For the UK, successful sequestration is expected for arable land over most of England and Wales, with unsucessful sequestration expected in parts of Scotland, due to already carbon rich soils (existing woodland) plus lower yields. Soils already rich in carbon includes peatland and mature forest. Grassland can also be carbon rich, however Milner et al. argues that the most successful carbon sequestration in the UK takes place below improved grasslands. The bottom graphic displays the estimated yield necessary to compensate for the disturbance caused by planting plus lifecycle GHG-emissions for the related above-ground operation. Forest-based biomass projects has received criticism for ineffective GHG mitigation from a number of environmental organizations, including Greenpeace and the Natural Resources Defense Council. Environmental groups also argue that it might take decades for the carbon released by burning biomass to be recaptured by new trees. Biomass burning produces air pollution in the form of carbon monoxide, volatile organic compounds, particulates and other pollutants. In 2009 a Swedish study of the giant brown haze that periodically covers large areas in South Asia determined that two thirds of it had been principally produced by residential cooking and agricultural burning, and one third by fossil-fuel burning. Use of wood biomass as an industrial fuel produce fewer particulates and other pollutants than the burning seen in wildfires or open field fires. ^ "Biomass - Energy Explained, Your Guide To Understanding Energy". U.S. Energy Information Administration. June 21, 2018. ^ Nagel, B.; Dellweg, H.; Gierasch, L. M. (1 January 1992). "Glossary for chemists of terms used in biotechnology (IUPAC Recommendations 1992)". Pure and Applied Chemistry. 64 (1): 143–168. doi:10.1351/pac199264010143. ^ a b  Retrieved on 2012-04-12. ^ Field, C. B.; Behrenfeld, M. J.; Randerson, J. T.; Falkowski, P. (1998). "Primary Production of the Biosphere: Integrating Terrestrial and Oceanic Components" (PDF). Science (Submitted manuscript). 281 (5374): 237–240. Bibcode:1998Sci...281..237F. doi:10.1126/science.281.5374.237. PMID 9657713. ^ Darby, Thomas. "What Is Biomass Renewable Energy". Real World Energy. Archived from the original on 2014-06-08. Retrieved 12 June 2014. ^ Randor Radakovits; Robert E. Jinkerson; Al Darzins; Matthew C. Posewitz1 (2010). "Genetic Engineering of Algae for Enhanced Biofuel Production". Eukaryotic Cell. 9 (4): 486–501. doi:10.1128/EC.00364-09. PMC 2863401. PMID 20139239. ^ Martin, Marshall A. (1 November 2010). "First generation biofuels compete". New Biotechnology. 27 (5): 596–608. doi:10.1016/j.nbt.2010.06.010. PMID 20601265. ^ Kosinkova, Jana; Doshi, Amar; Maire, Juliette; Ristovski, Zoran; Brown, Richard; Rainey, Thomas (September 2015). "Measuring the regional availability of biomass for biofuels and the potential for microalgae". Renewable and Sustainable Energy Reviews. 49: 1271–1285. doi:10.1016/j.rser.2015.04.084. ^ Akhtar, A., Krepl, V., & Ivanova, T. (2018). A Combined Overview of Combustion, Pyrolysis, and Gasification of Biomass. Energy & Fuels, 32(7), 7294–7318. ^ Liu, G., E. D. Larson, R. H. Williams, T. G. Kreutz and X. Guo (2011). "Making fischer-tropsch fuels and electricity from coal and biomass: Performance and cost analysis." Energy & Fuels 25: 415–437. ^ Conversion technologies. 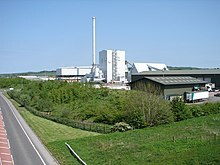 Biomassenergycentre.org.uk. Retrieved on 2012-02-28. ^ "Biochemical Conversion of Biomass". BioEnergy Consult. 2014-05-29. Retrieved 2016-10-18. ^ Linares-Pastén, J. A.; Andersson, M; Nordberg karlsson, E (2014). "Thermostable glycoside hydrolases in biorefinery technologies" (PDF). Current Biotechnology. 3 (1): 26–44. doi:10.2174/22115501113026660041. ^ Munnings, C.; Kulkarni, A.; Giddey, S.; Badwal, S.P.S. (August 2014). "Biomass to power conversion in a direct carbon fuel cell". International Journal of Hydrogen Energy. 39 (23): 12377–12385. doi:10.1016/j.ijhydene.2014.03.255. ^ Kim, Ye Eun (17 May 2011). "Surface Modifications of a Carbon Anode Catalyst by Control of Functional Groups for Vitamin C Fuel Cells". Electrocatalysis. 2 (3): 200–206. doi:10.1007/s12678-011-0055-0. ^ Knight, Chris (2013). "Chapter 6 – Application of Microbial Fuel Cells to Power Sensor Networks for Ecological Monitoring". Wireless Sensor Networks and Ecological Monitoring. Smart Sensors, Measurement and Instrumentation. 3. pp. 151–178. doi:10.1007/978-3-642-36365-8_6. ISBN 978-3-642-36364-1. ^ Badwal, Sukhvinder P. S.; Giddey, Sarbjit S.; Munnings, Christopher; Bhatt, Anand I.; Hollenkamp, Anthony F. (24 September 2014). "Emerging electrochemical energy conversion and storage technologies (open access)". Frontiers in Chemistry. 2: 79. Bibcode:2014FrCh....2...79B. doi:10.3389/fchem.2014.00079. PMC 4174133. PMID 25309898. ^ Prasad, Ram. "SUSTAINABLE FOREST MANAGEMENT FOR DRY FORESTS OF SOUTH ASIA". Food and Agriculture Organization of the United Nations. Retrieved 11 August 2010. ^ "Treetrouble: Testimonies on the Negative Impact of Large-scale Tree Plantations prepared for the sixth Conference of the Parties of the Framework Convention on Climate Change". Friends of the Earth International. Archived from the original on 26 July 2011. Retrieved 11 August 2010. ^ Laiho, Raija; Sanchez, Felipe; Tiarks, Allan; Dougherty, Phillip M.; Trettin, Carl C. "Impacts of intensive forestry on early rotation trends in site carbon pools in the southeastern US". United States Department of Agriculture. Retrieved 11 August 2010. ^ "THE FINANCIAL AND INSTITUTIONAL FEASIBILITY OF SUSTAINABLE FOREST MANAGEMENT". Food and Agriculture Organization of the United Nations. Retrieved 11 August 2010. ^ Given the EU average yield of 18.8 tonnes dry matter per hectare per year (see Clifton-Brown, above), and 48% carbon content (see Kahle et al,, above). ^ Eartha Jane Melzer (January 26, 2010). "Proposed biomass plant: Better than coal?". The Michigan Messenger. Archived from the original on 2010-02-05. ^ Gustafsson, O.; Krusa, M.; Zencak, Z.; Sheesley, R. J.; Granat, L.; Engstrom, E.; Praveen, P. S.; Rao, P. S. P.; et al. (2009). "Brown Clouds over South Asia: Biomass or Fossil Fuel Combustion?". Science. 323 (5913): 495–8. Bibcode:2009Sci...323..495G. doi:10.1126/science.1164857. PMID 19164746. ^ Springsteen, Bruce; Christofk, Tom; Eubanks, Steve; Mason, Tad; Clavin, Chris; Storey, Brett (2011). "Emission Reductions from Woody Biomass Waste for Energy as an Alternative to Open Burning". Journal of the Air & Waste Management Association. 61 (1): 6. doi:10.3155/1047-3289.61.1.63. This page was last edited on 23 April 2019, at 16:18 (UTC).